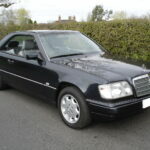 Green/Black metallic, Orion Grey leather interior, burr walnut dashboard and door cappings, 4 speed auto, air conditioning, driver and passenger airbags, electric front seats, electric windows, electric tilt/slide sunroof, front and rear headrests, front and rear armrests, storage box in centre tray, Sportline 7J 8 hole alloy wheels, recent Pioneer radio/CD player, infra-red central locking, all original tools and manuals, full service history, 86,000 miles. 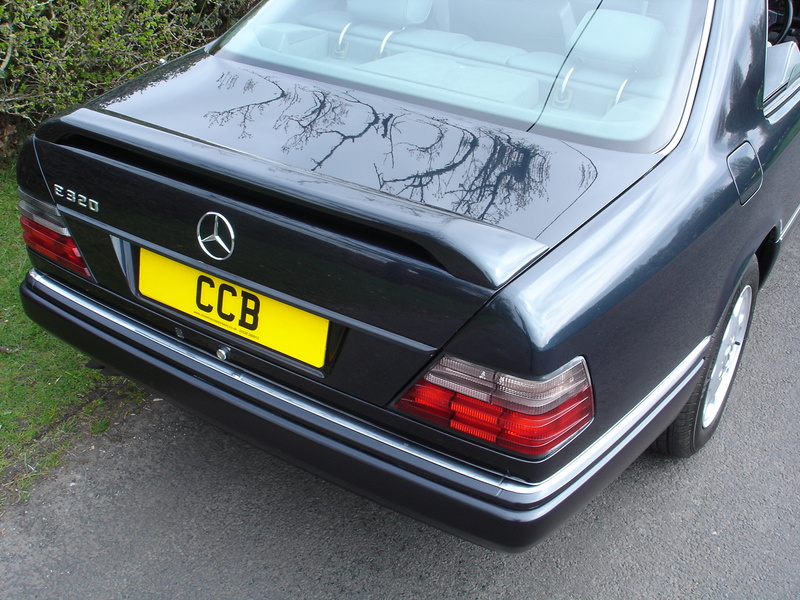 This lovely coupe looks stunning in its luscious Green/Black metallic paintwork, which is one of the colours we get asked for most often. 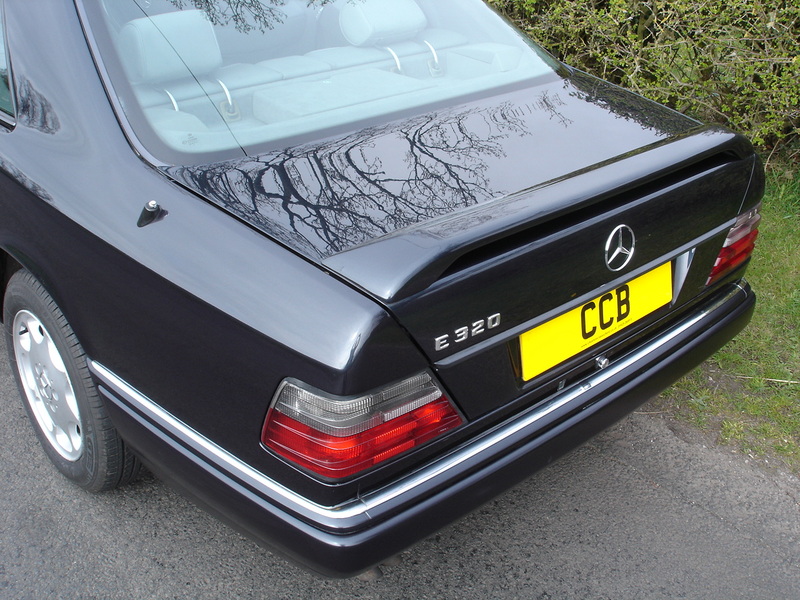 Despite its name, in most lighting conditions it actually looks like metallic black with a hint of blue. 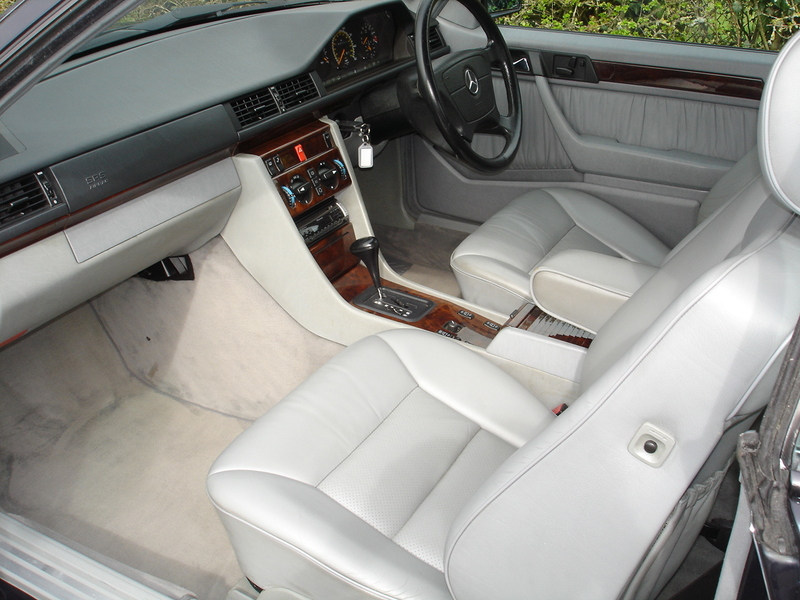 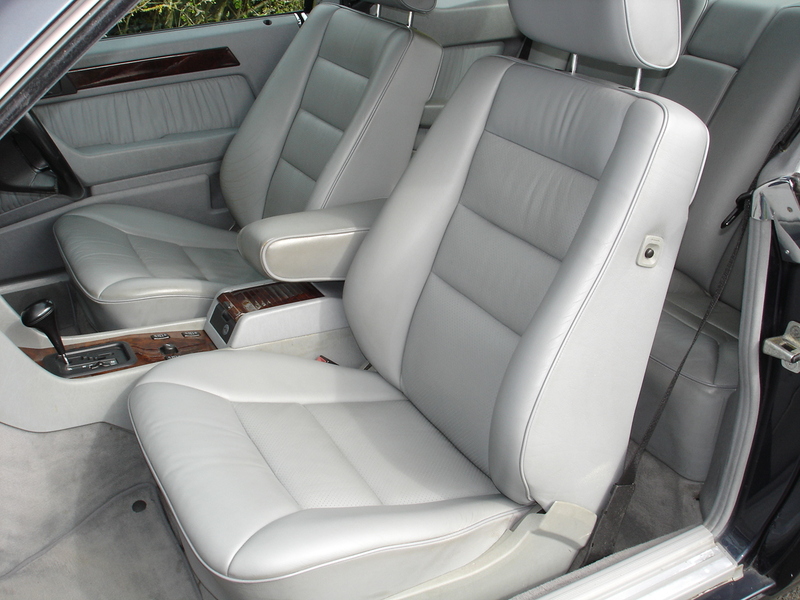 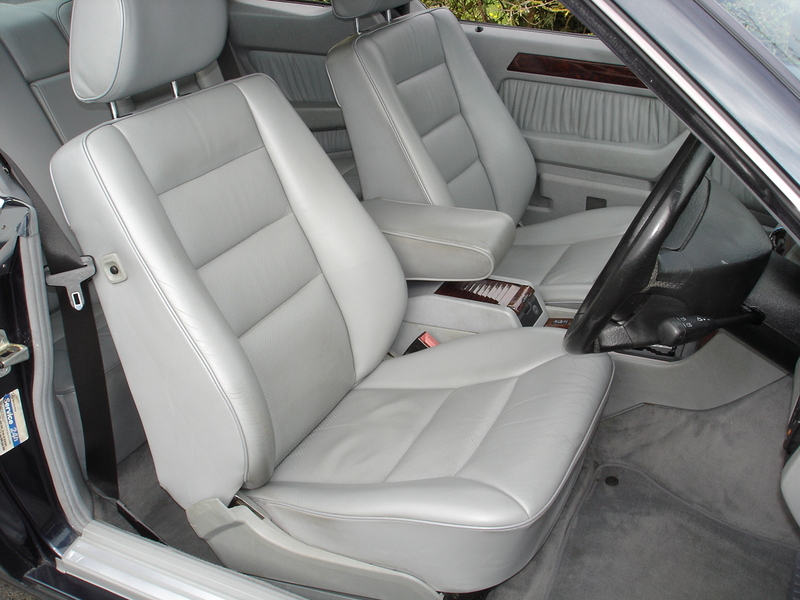 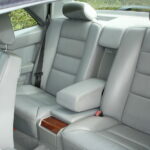 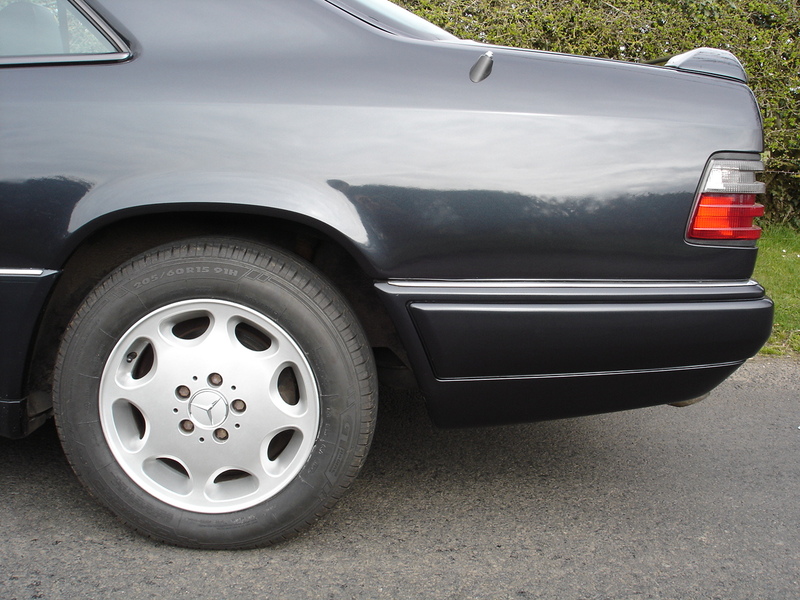 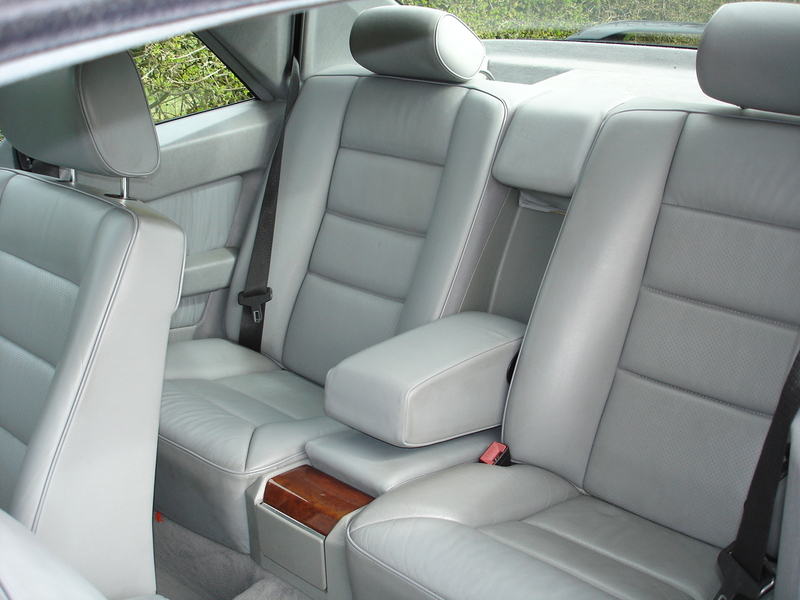 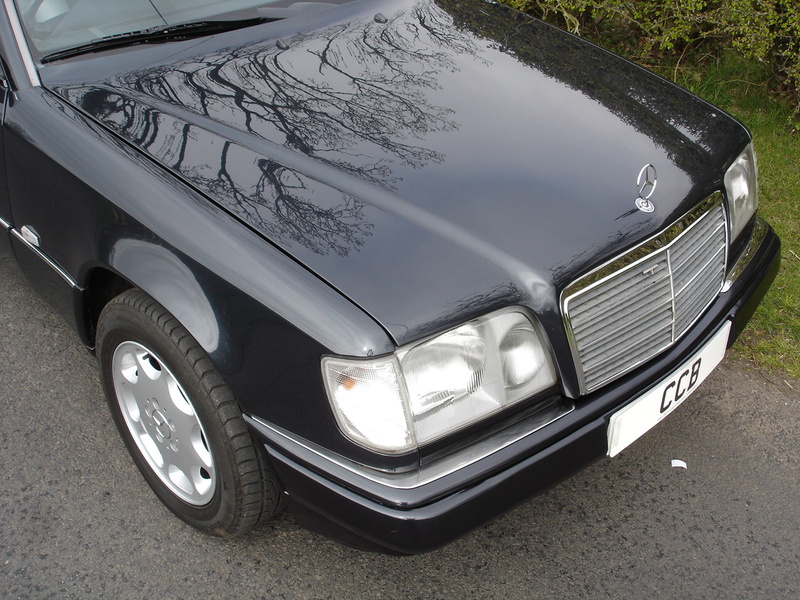 The grey leather interior contrasts beautifully with the exterior colour, and is in superb condition throughout, completely belying its 19 years of age. 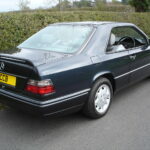 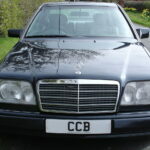 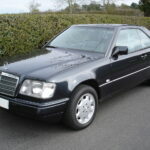 It was supplied new by Mercedes-Benz Great West Road of Brentford in September 1996 and has had several caring owners, mostly in the London area but the last two in Cornwall and West Yorkshire. 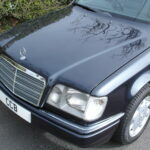 The service book contains six stamps from the supplying dealer, four from Mercedes-Benz of Dartford and one from an independent Mercedes specialist in London. 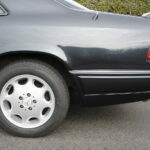 In addition the latest owner, who runs an oil wholesale company, has changed the oil and filter himself as necessary. 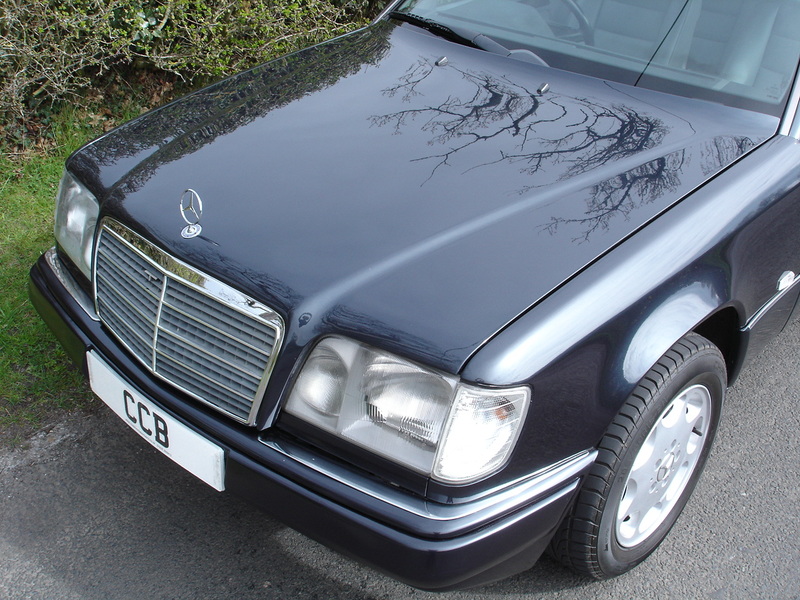 Before handover to its new owner it will be serviced again in our own workshop, making it ready for a further 9,000 miles before any scheduled attention is due. 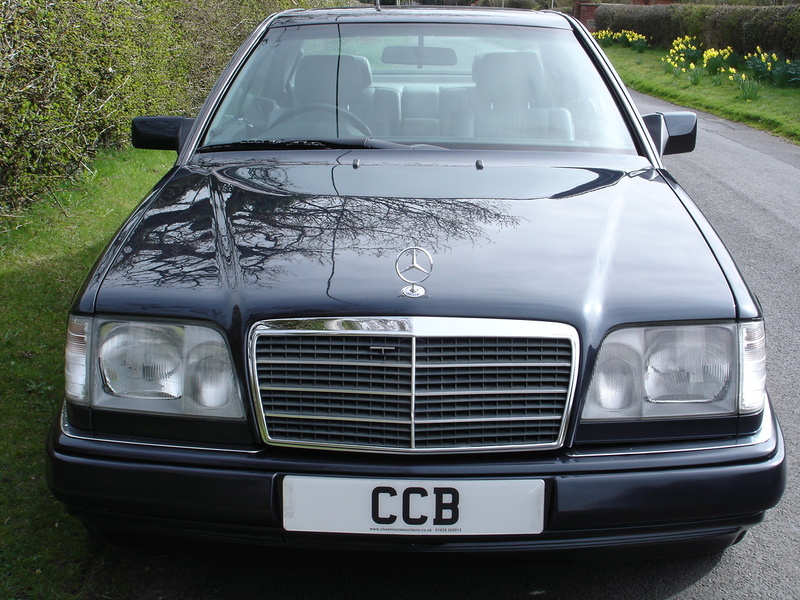 As well as the fully stamped service book we have many old invoices and all MOT records back to 2006. 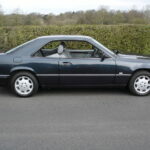 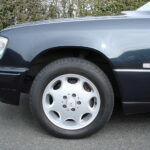 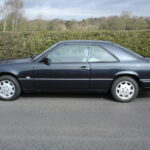 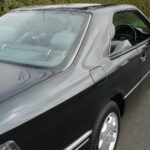 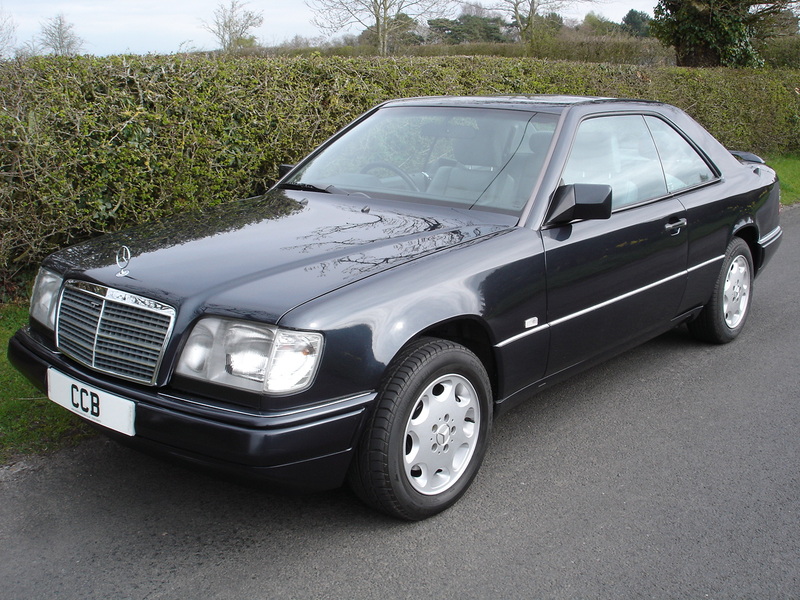 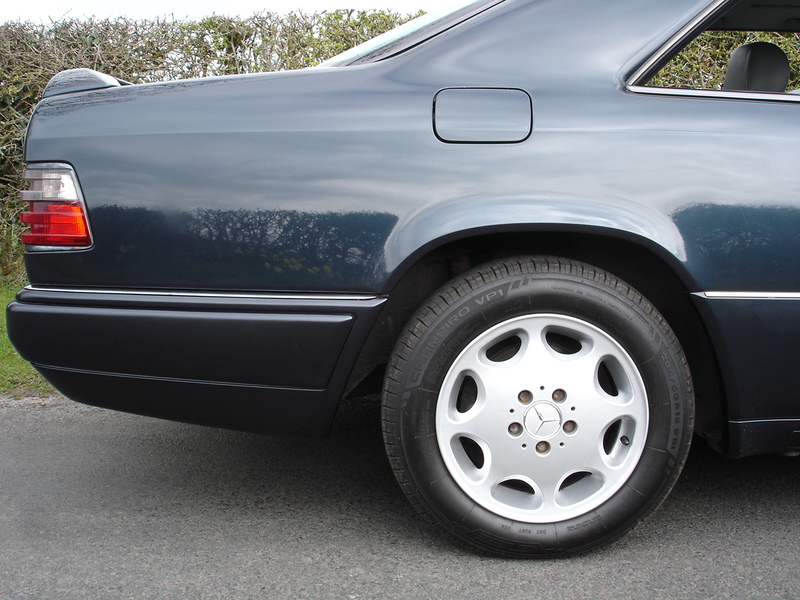 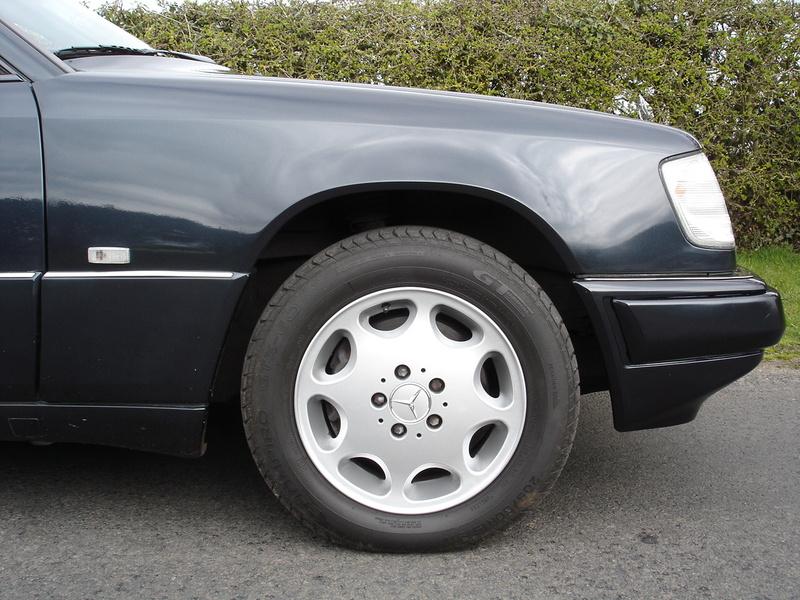 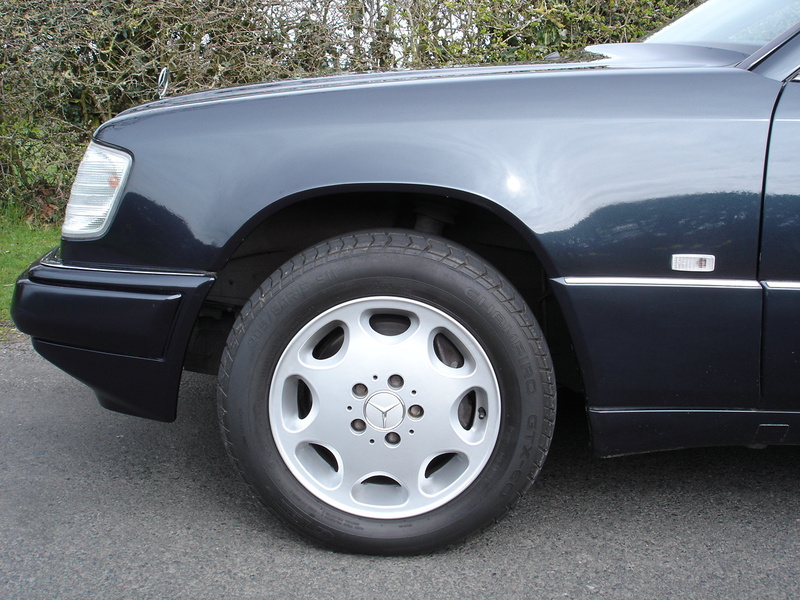 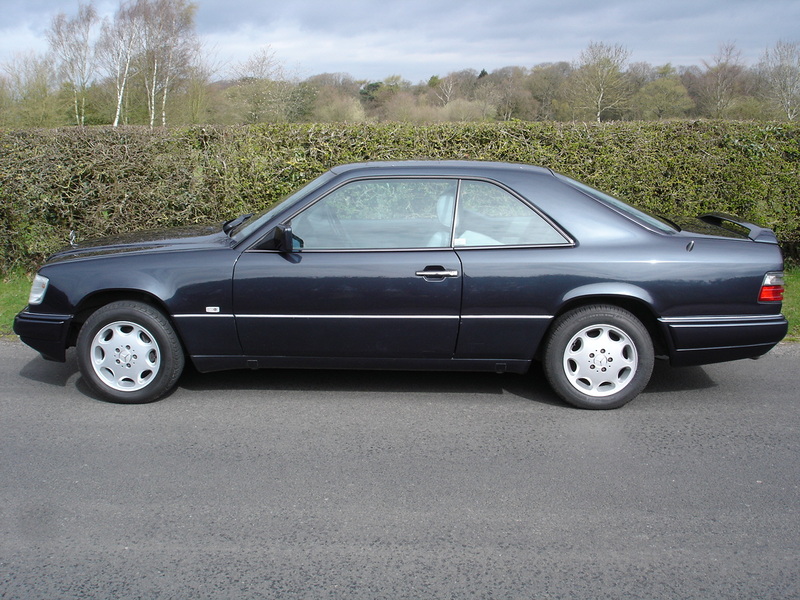 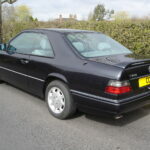 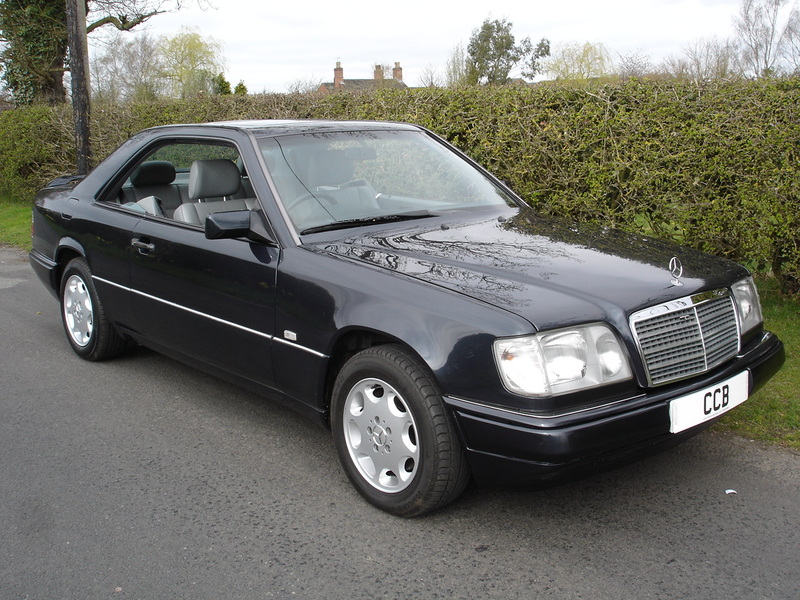 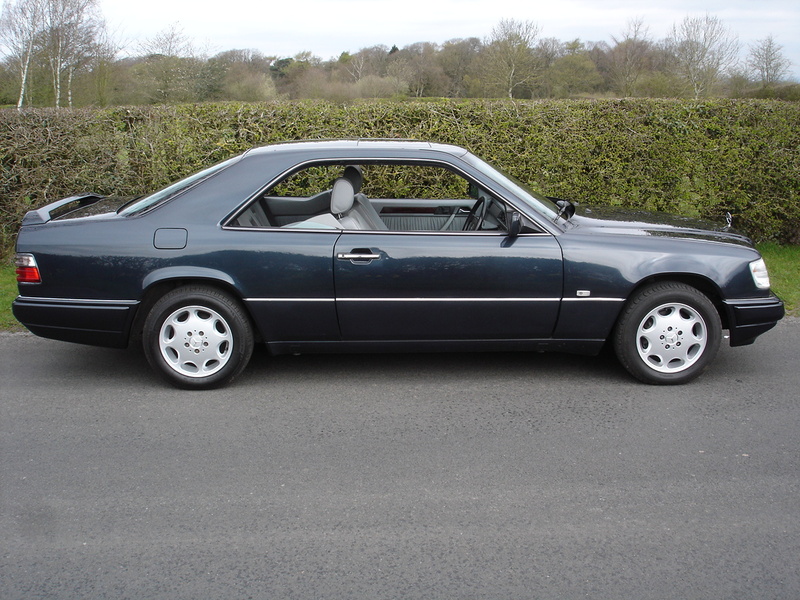 The W124 coupes are justly renowned as superbly satisfying driving machines over any distance, and owners do tend to use them whenever the opportunity arises. 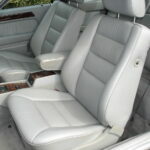 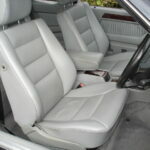 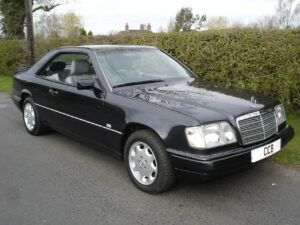 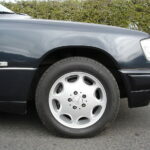 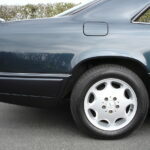 Understandably therefore, the supply of well kept low mileage examples is now running very short. 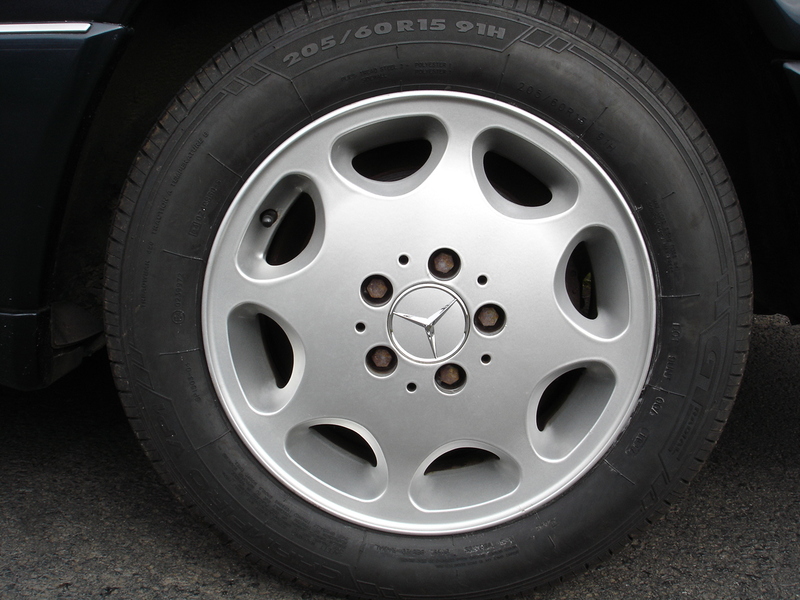 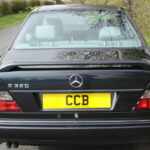 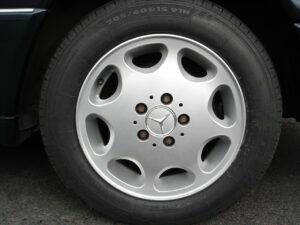 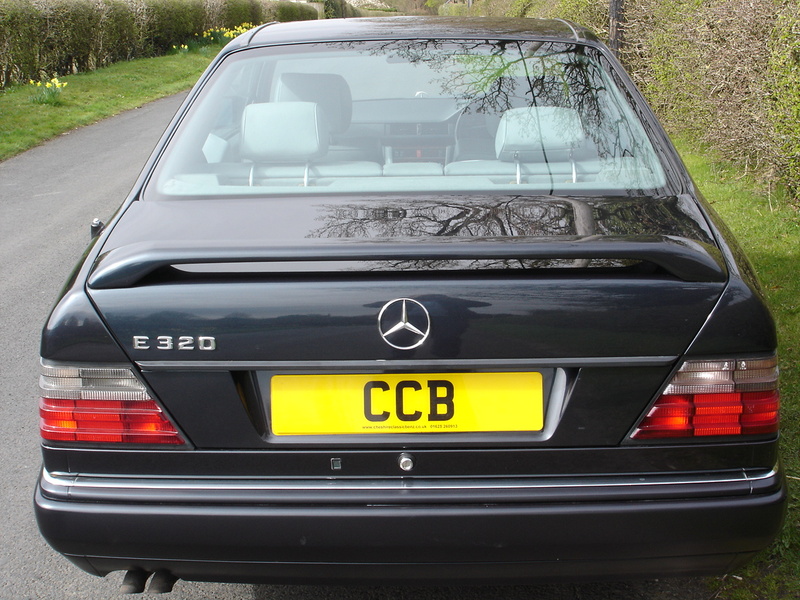 This one was one of the very last cars off the production line before this model gave way to the much inferior CLK. 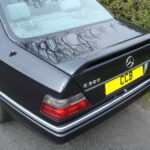 It has the sought-after 3.2 litre 24 valve engine, is highly optioned, and carries one of the most popular colour schemes. 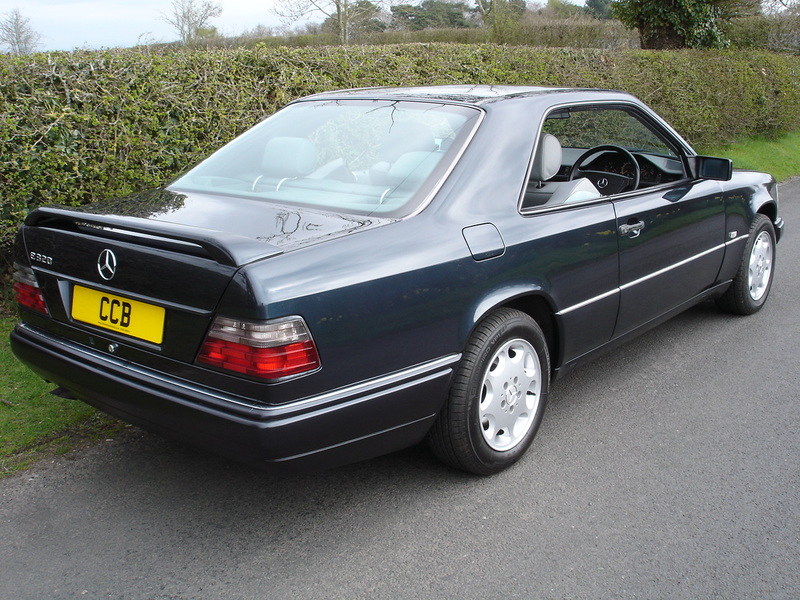 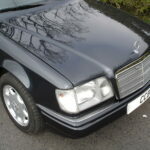 It has only covered an average of around 4,500 miles per annum over its lifetime to date and drives beautifully. 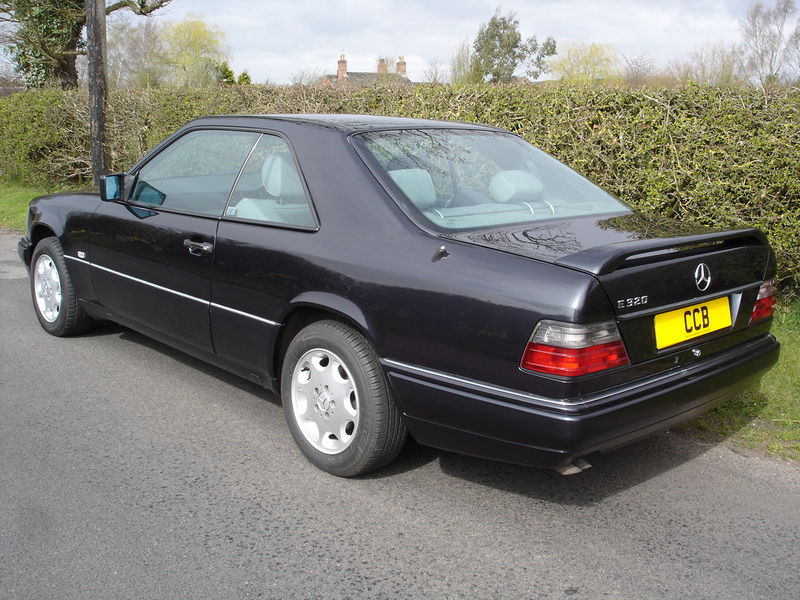 Values of good examples of this model have been rising for some time now, and if other Mercedes models are anything to go by it will become ever more sought-after as the years go by. 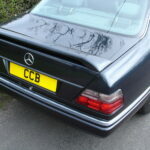 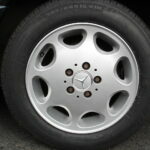 We have carried out a comprehensive mechanical check of the car in our own workshop. 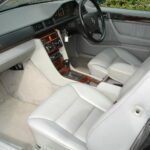 Any faults found have been remedied, and any required maintenance has been carried out (see above). 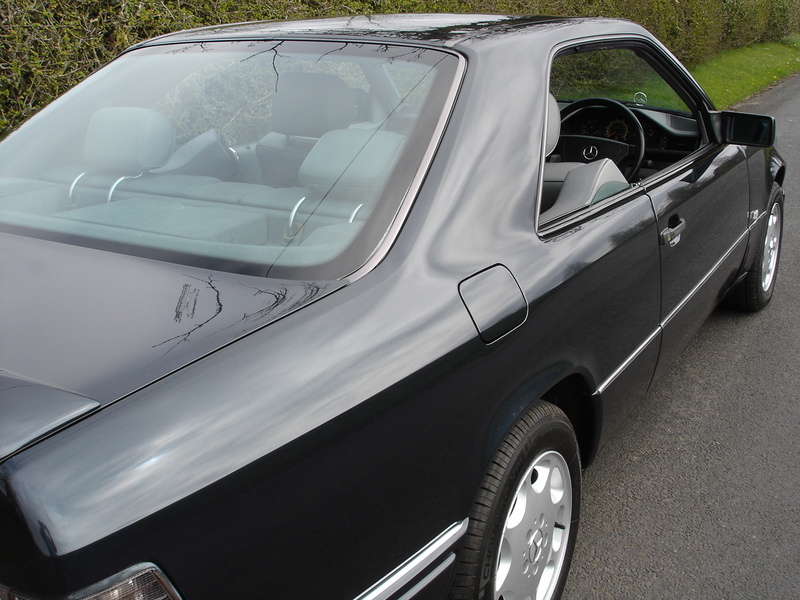 Invoices for this work will be supplied with the car, along with our own warranty, details of which can be supplied on request.